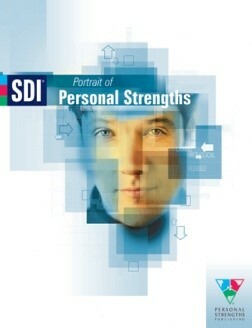 The Portrait of Personal Strengths is a practical learning resource that compliments and extends SDI® insights. It is completed by sorting and prioritising 28 strengths/behaviour traits that you use when relating to others. 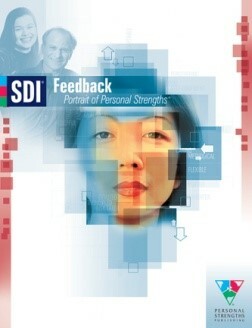 Used in conjunction with SDI®, it quickly helps people to understand the strengths they most and least frequently use when relating with others, giving essential insights into development opportunities for individuals and other areas such as team norms, culture and strength gaps. It's "sort and place" format makes it an enjoyable break from traditional assessment tool formats. Available in English and Romanian. 'Strengths when overdone or missaplied, can be perceived as weaknesses'. 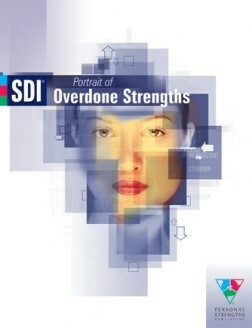 With the Portrait of Overdone Strengths, you consider which strengths you may be inclined to overdo on occasions. The insights gained from this Portrait can reveal potential sources of interpersonal conflict. Participants who use this portrait report that they make more informed behaviour choices by recognising when they are about to overdo a strength. When the costs of overdone strengths become clear, participants feel more empowered to borrow other behaviours and be more effective. It’s useful for any situation where people relate to each other, such as the workplace or with family. 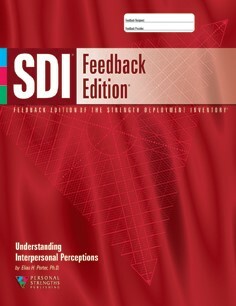 The Feedback Edition of SDI produces feedback that describes how others see you when things are going well and when things are not going so well.The results reflect the perception of the feedback provider, such as colleagues or partners. Comparing the perceptions of others to one's perceptions of one's self provides invaluable insight into the possible causes of interpersonal harmony or conflict. The Feedback Portrait of Personal Strengths highlights the similarities and differences that arise as people use their strengths in relationships. This portrait provides a vehicle to communicate appreciation of another person’s strengths. It is a valuable conversation starter that builds relationship connections. Learning occurs for both the feedback provider and the feedback recipient. Included is an easy-to-use gap analysis where specific areas for attention are easily identified. This portrait offers a unique, non-confrontational way of giving feedback by addressing the potential cause of the conflict — not the conflict itself. 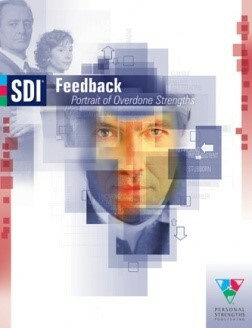 The Feedback Portrait of Overdone Strengths reveals assumptions that people make about others and helps to resolve misunderstandings. It effectively explores differences in perceptions about how people may overdo or misapply their strengths, thereby causing unwarranted conflict in relationships. Specific areas are highlighted through an easy-to-use gap analysis. 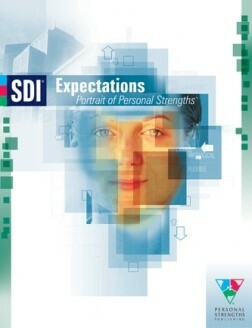 Utilise SDI Expectations Edition to identify, clarify and manage the expectations within any role or relationship. When people know what’s expected, this can decrease conflict or lack of engagement. This inventory is especially useful in situations where expectations differ, are unclear or have not been communicated to everyone involved. Comparing several people's expectations about the same role or relationship can help clarify and build consensus about expectations. 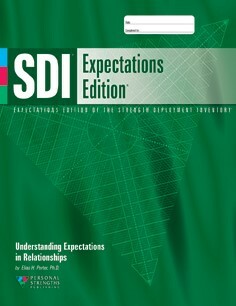 SDI Expectations Edition provides an objective forum to get everyone's expectations out in the open so that differences can be discussed in a non-threatening and non-judgemental way.